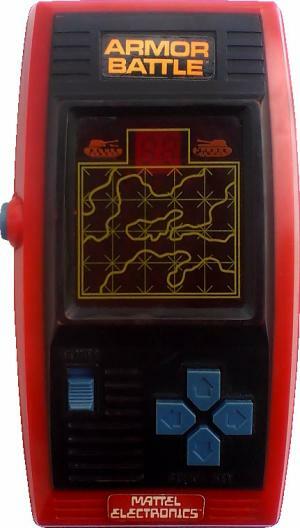 Handheld electronic games are very small, portable devices for playing interactive electronic games, often miniaturized versions of video games. The controls, display and speakers are all part of a single unit. Rather than a general-purpose screen made up of a grid of small pixels, they usually have custom displays designed to play one game. This simplicity means they can be made as small as a digital watch, and sometimes are. 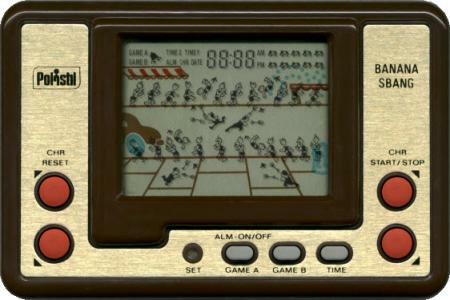 The visual output of these games can range from a few small light bulbs or LED lights to calculator-like alphanumerical screens; later these were mostly displaced by liquid crystal and Vacuum fluorescent display screens with detailed images and in the case of VFD games, color. 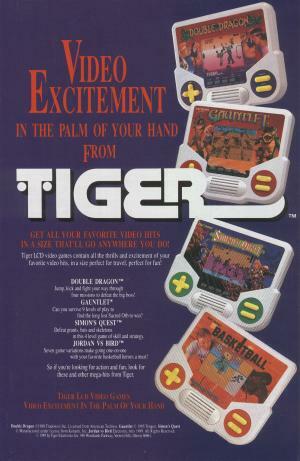 Handhelds were at their most popular from the late 1970s into the early 1990s. They are the precursors to the handheld game console.